9.32mm x 18.22mm / 0.367in. x 0.717in. Knight Chess Piece Charm by Rembrandt Charms. The height is 3/4 of an inch. Make a move and add the Knight Chess Piece Charm to any charm bracelet. This jewelry piece represents your appreciation for game strategy. 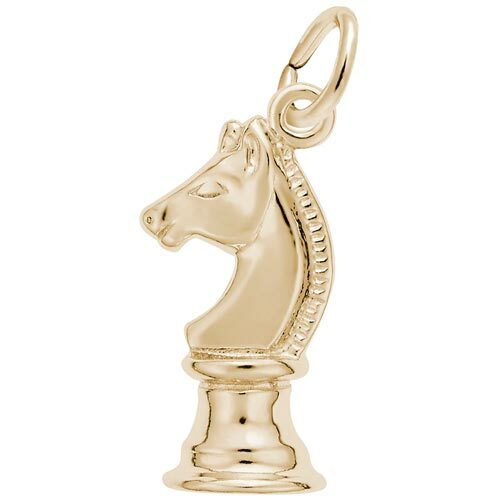 This knight chess piece jewelry piece can be placed on a necklace as a pendant or will be a wonderful addition as a charm for a Charm Bracelet. All Rembrandt Charms are available in either silver or gold.